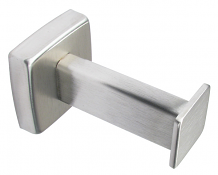 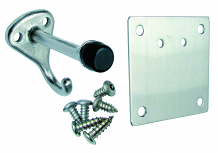 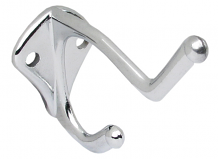 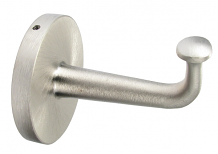 SATIN SS TOWEL PIN - PROJECTS 3"
Equiparts carries coat and hat hooks for commercial restrooms and door bumpers for restroom stalls. 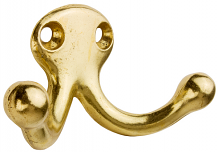 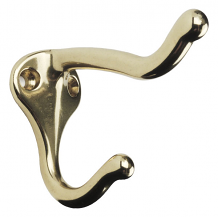 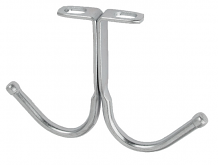 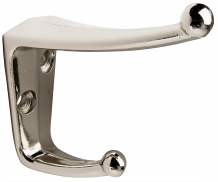 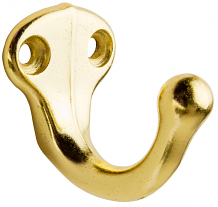 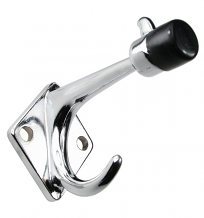 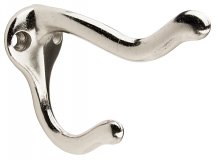 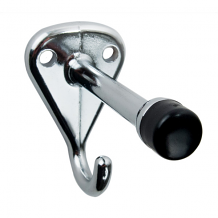 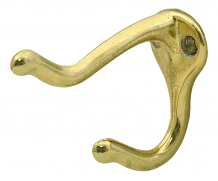 Our inventory includes a wide selection of towel hook strips, brass hooks, double robe hooks, chrome hooks, brass and nickel coat and hat hooks, partition bumpers, single prong locker hooks & more. 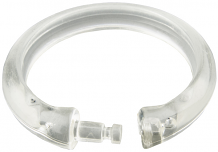 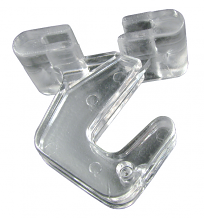 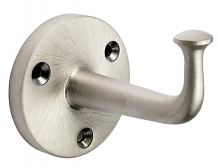 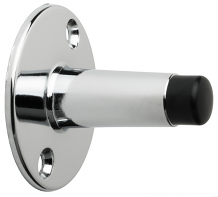 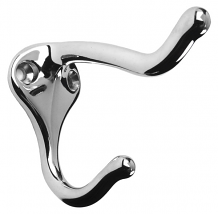 Contact us at 1-800-442-6622 for pricing or if you have any questions about restroom hooks and bumpers.